This is a non-profit fandub of the story mode in Eyes of Heaven, where in the various JoJo protagonists travel to to each other's time period/universe and try to find the parts of the Holy Corpse in order to stop the strange anomalies that are cropping up everywhere. A few minor character's actors have left the project, and as such they are being recasted. -Quality Recording Equipment: This goes without saying. If I can't hear or understand you, I can't cast you, darlin'. 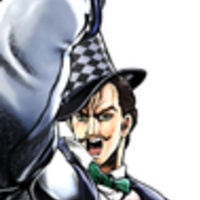 William Antonio Zeppeli is a seasoned master of The Ripple and Jonathan Joestar's mentor, with the two being close enough for Zeppeli to think of Jonathan like a son. He is very eccentric and sometimes comes off as a comic relief character despite his skill with The Ripple. Zeppeli is possessed for most of his screentime, so try to sound menacing. Jojo! You will pay for putting The Ripple to ill use! It’s a master’s duty to see that his disciples’ errors are set straight! Bring it on! Ripple in the first place! 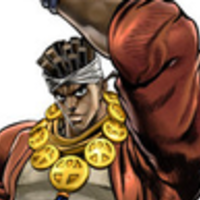 I want Avdol to have a deep voice. Avdol is possessed for a majority of his screentime, so try to sound menacing. Fools who dare bring harm to the Noble One! I, Mohammed Avdol, will burn up every last piece of you! Enya Geil is one of DIO's subordinates and Stand user to Judgement. 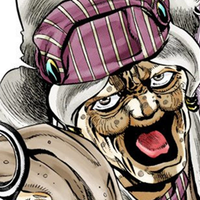 She's an evil hag and holds great contempt for the Stardust Crusaders, Polnareff in particular. She's fiercely loyal to DIO and throughout the game steps in to make sure his plans come to fruition. Give her a cackling old witch voice. Now I’ll be able to eliminate you with my own two hands, you despicable wre~etch! The Noble One is a king among kings! The one who is fit to control the entire world! 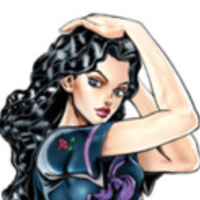 Yukako Yamagishi is the Stand user to Love Deluxe and Koichi Hirose's girlfriend, though she pretty much bullied her way into the position. Yukako likes to think of herself as a shy and sweet, but her personality is rather bitter and angry, especially if she doesn't get her way. She can switch between the two personality types at the drop of a hat, so be ready to snap between sweet and totally psycho often. Yukako is possessed for most of her screentime, so try to sound menacing. You really made me waste a lot of time! I’m going to rip you all to sheds! I’m going to smush you if it’s the last thing I do! 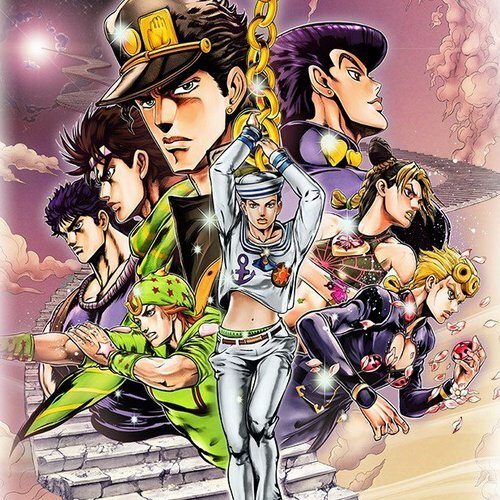 Rohan Kishibe is a famous mangaka and Stand user to Heaven's Door. The success he's earned at such a young age and his Stand's powerful ability leads him to be very self-important and a total jerk. He and Josuke Higashikata hate each other for a mixture of valid and petty reasons. 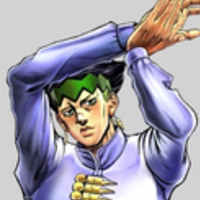 Rohan sounds stuck up and has a great deal of smugness to his voice. In early appearances, he is possessed, so try to sound menacing. Yes, if I had to draw a picture of Jotaro had looked like ten years ago, it might look exactly like him! But of course! There's no way I'd miss out on such an amusing spectacle.